When you get into work in the morning, are you filled with enthusiasm for your day? Or are you already dreaming of Friday afternoon? If you’re one of the 56% self-motivators in the UK, than it’s definitely the former for you. Today is National Employee Motivation Day (EMD) – a day launched on behalf of our client, Argos for Business, to inspire passion and appreciation across the country’s workforce. Argos for Business tasked JAM with educating employers and managers on the benefits of a motivated workforce and as today marks the second Employee Motivation Day 2016, we’re all hands on deck to make this campaign a real success! You might have already noticed some fabulous coverage for the campaign in The Guardian and The Sun, and on Sky News. Launching a national awareness day is no easy feat. For the past six months, the Jammers have been busy preparing for EMD. As well as commissioning a nationwide piece of research and drafting multiple press releases and case studies, we have implemented a comprehensive social media strategy, developed creative materials and recruited the very charming Roger Black as a spokesperson for the campaign. Choosing to have a third party spokesperson means the campaign’s messaging will be delivered from an impartial voice, and brings an interesting, fresh perspective to the discussion. It also creates a strong point of difference, especially when approaching broadcast media with a story. Roger has been a huge asset to EMD; motivation and team spirit is most commonly found in sporting arenas, and individuals and organisations can gain knowledge of what drives sporting success, translating it into real-life, day-to-day activities. Working with Argos for Business, Roger has combined his close understanding of motivation and self-development with his personal experiences to offer valuable insights. To read Roger’s top tips to employee motivation click here . Our research this year shows that within every team, there are a wide range of personalities with different skill sets contributing to businesses. A fifth of the nation place themselves as a Captain Questions – a worker who enjoys probing and problem solving in a group and calling collective brainstorms to reach a decision. In order to help you decipher what kind of employee you are, we created a fun, workplace-personality quiz. Are you a Captain Question? A Go-getting Gregarian? A Big Ideas Bod? Click here. We’d love to hear how your business is celebrating at @JAM_Manchester, too. If you’d like to know how we can help you create a buzz with your next campaign, email Jaime@jampr.co.uk or call 0161 850 0565. For sports fans, the Super Bowl is one of the biggest events in the sporting calendar. For marketers, its commercial capabilities are undeniable. Case in point: this year, Beyoncé pulled in 147,000 tweets per minute during her performance and, inside the stadium, the singer was tagged in 60 pictures per minute on Instagram. Because of social media, the half-time show is an unrivalled marketing platform for the biggest music artists on the planet. It’s no wonder that companies spend big bucks on advertising during the Super Bowl. On Sunday night, some brands tried to be funny and fell flat, some tried to be funny and succeeded while others struck the wrong tone completely. Audi, on the other hand, played to people’s emotions with an advert to really resonate with the audience… and they pulled it off. Using David Bowie’s song Starman as the background music, Audi took the crown for the most memorable ad of the night and marketing experts give it high marks. One viewer said the advert gave him ‘shivers’. If a business can’t afford a significant investment in advertising, it is advisable to invest money wisely in other forms of public relations and marketing. A hugely popular sporting occasion presents brands with the opportunity to execute creative social media and PR campaigns, allowing the business to reach out to an already engaged audience. Remember when Walkers re-named its products to celebrate the World Cup? Salt and Linekar flavoured crisps, anyone? In 2016, we have been handed a wealth of sporting events to captialise on, including UEFA Euro 2016 and the Olympics in Rio De Janeiro. If you would like to discuss how JAM can devise and implement a creative campaign to drive your business forward this year, contact Jaime@jampr.co.uk. Working with broadcast journalists is one of many skills a PR professional must master. National TV and radio stations have high circulation figures, which is why integrating broadcast into a PR strategy should be a key consideration from the outset. However, this is a highly competitive business, with all PRs pitching for the same prime time slot. •	What will they see? •	Who is the spokesperson and what can they talk about? •	What footage can you give to them? It’s also important to remember that news content varies depending on the time of day. Lunchtime news producers are more likely to take light-hearted, consumer stories as opposed to the 10 o’clock news, where the hard-hitting headlines take the lead. 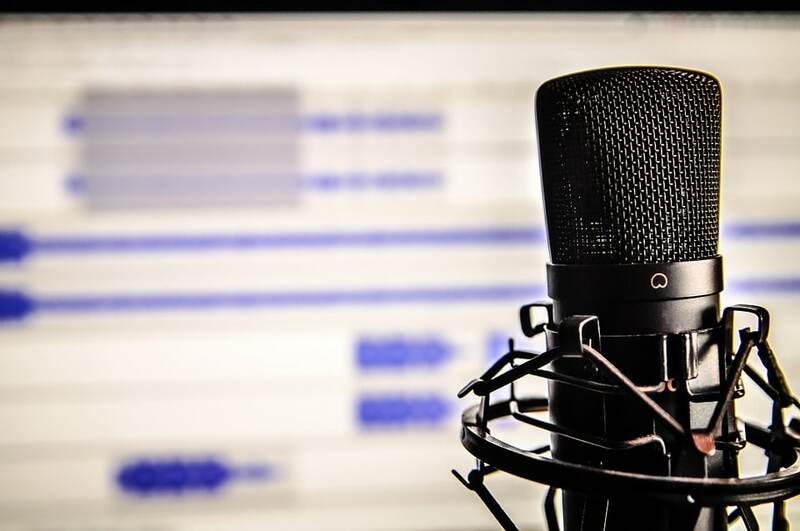 Due to cost cutting within the industry, radio stations now pool journalistic resources, creating a ‘hub’ of content that is shared and distributed. This is good news for PRs, as it means we can reach multiple newsrooms with just one call – so make sure you get that call right first time. When talking to a radio producer or news editor, it’s important to provide content that will encourage audience interaction. Often, radio stations are looking for interesting talking points that will encourage listeners to call, text, email, or tweet the studio, opening a two-way dialogue between presenter and listener. The broadcast industry has seen a seismic shift from traditional methods to digital platforms, which is why Google recently urged brands to spend at least 24 per cent of advertising budgets on YouTube instead of television . YouTube has one billion unique users each month, and vloggers are considered to be the next generation of celebrated broadcasters. For example, Zoella, beauty and fashion vlogger, has over 10 million subscribed viewers and has worked with brands such as Lush and Boohoo, promoting their products to a loyal fan-base. Finding a vlogger that will review your client’s product can be difficult, as they pride themselves on producing original and sometimes niche content. As such, PR’s must take the time to research each individual vlogger and their audience, and provide products or stories that will be of genuine interest to them. On Tuesday, some of the Jammers visited Prolific North Live, an industry exhibition, where the power of broadcast was discussed in depth by figures from the BBC and ITV. We’ll be putting our learnings from the event into action in 2016, as we commence work on some exciting campaigns. JAM was saddened this week to hear of the passing of one of Britain’s most brilliant broadcasters, Sir Terry Wogan. Rest in peace, Tel – you were one of the best. “Get on your toes, keep your wits about you, say goodnight politely when it’s over, go home and enjoy your dinner” – Sir Terry Wogan.